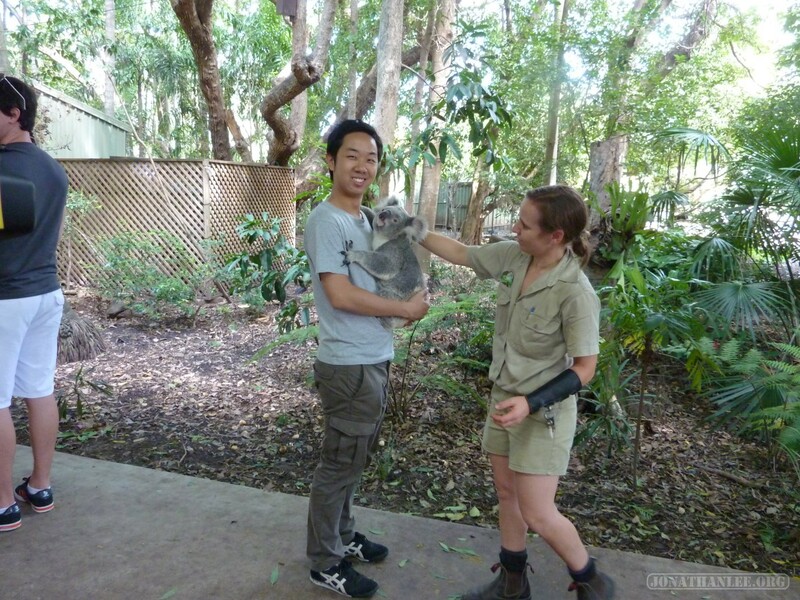 Admission is $33, with an extra $16+ to get a photo taken with a koala or other animal. – Koala cuddling. 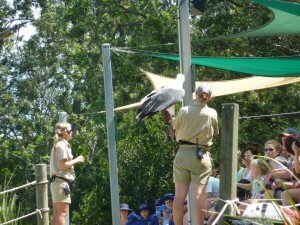 Lone Pine Koala Sanctuary is one of the few places in Australia that allows for this – most states have banned it. It’s fun to think about, and the ensuing photo is amazing, but the actual experience is somewhat lackluster. 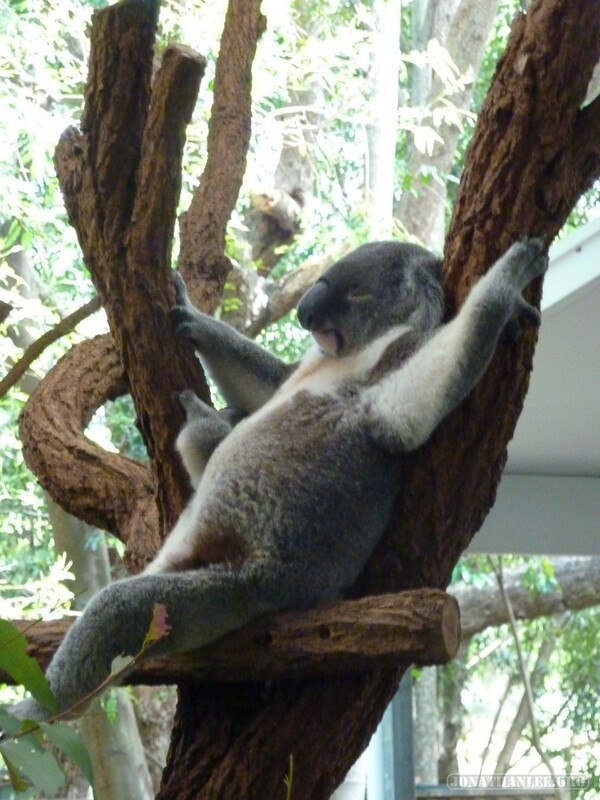 Koalas are surprisingly heavy, so it end using both hands to support itself as it grips your torso with its rather sharp claws. It’s warm, but it just kind of sits there resting against you – as if you were holding a warm but heavy teddy bear. It’s a fun experience, but I somehow expected some more action. 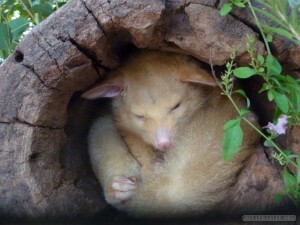 It would be great if I could go all Squee! Koala bear! Hugs and snuggles! like a little girl. 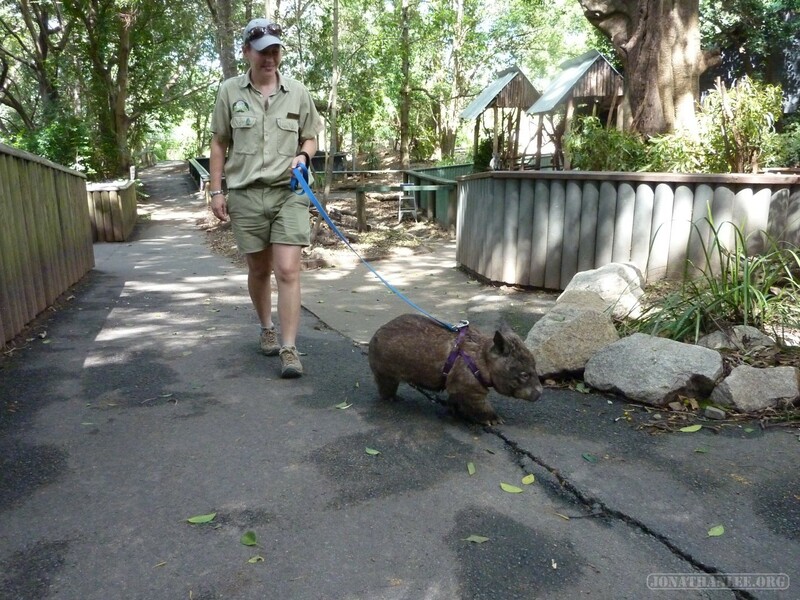 Or, if I could play with it like I would a teddy bear. 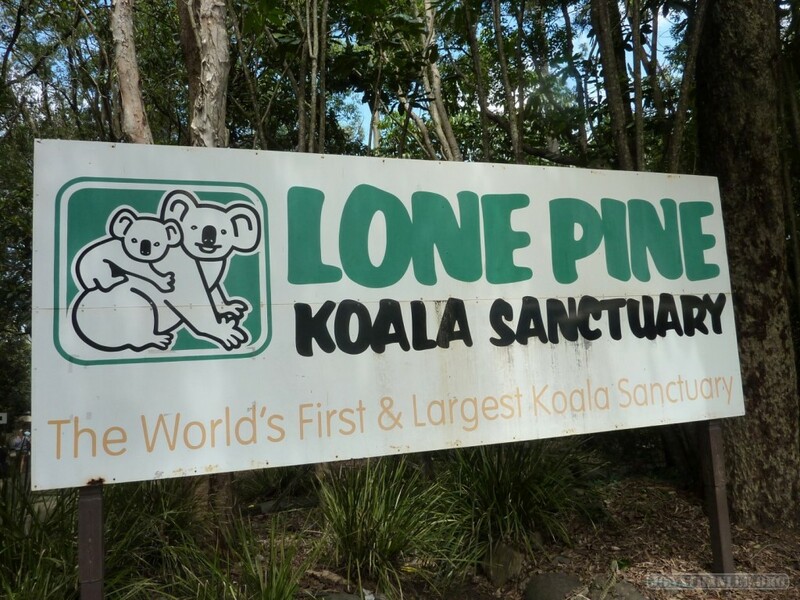 I have a feeling that both the koala and the staff at Lone Pine Koala Sanctuary would be quite distressed. 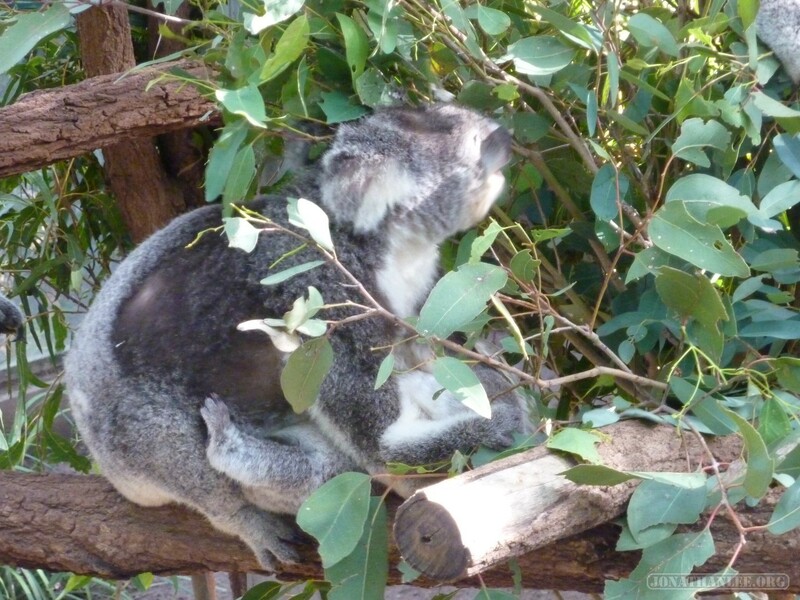 – Koalas! If I’m a bad person in life and end up being reincarnated as an animal, I want to be reincarnated as a Koala. Per day, they spend 19 hours sleeping, 4 hours eating, and 1 hour actually moving around. 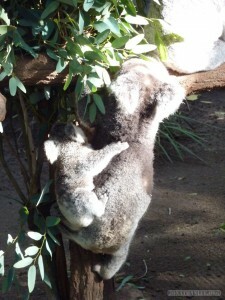 It’s surprisingly hard to get a photo of a baby koala hanging off its mother’s back. – Sheepdog and sheep sheering demonstration. 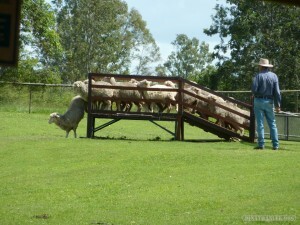 This was my first time seeing a sheepdog in action, and it was interesting how one dog could herd sheep so effectively. It was also interesting how sheep tend to all flock together. You can also see why occasionally flocks of sheep jump off cliffs to their death. 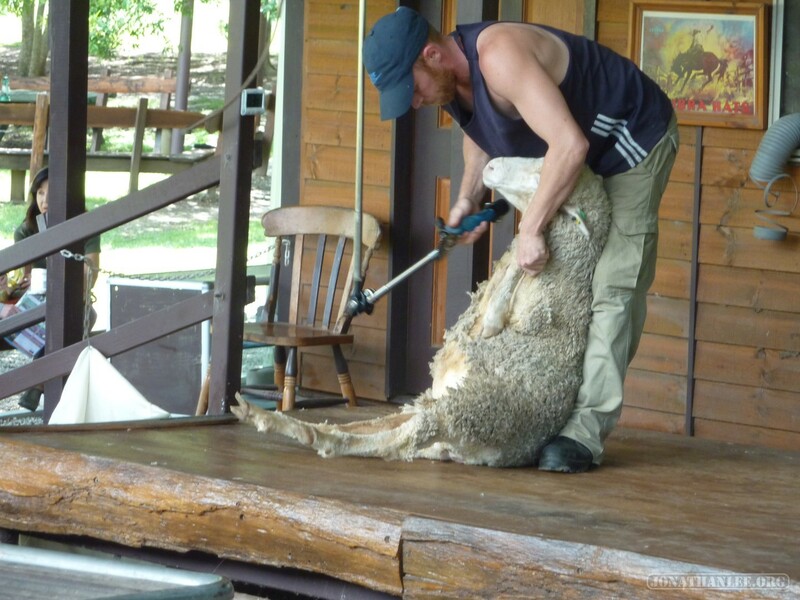 Sheep sheering is also strange – you have to hold the sheep in a certain way, as if they were lying back on a couch, legs askew and sticking into the air. The lamb is oddly docile while the whole process is going on, you can see where the insult came from. 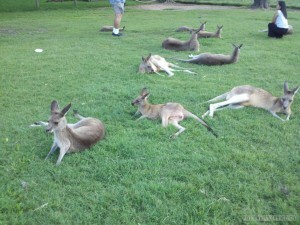 – Kangaroos. These guys are surprisingly boring. 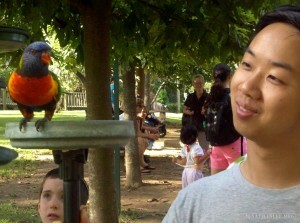 The first time I saw these fellas, I thought, “whoa, they’re real! And they look like Kanga and Roo from the 100 acre woods!”. But after that, they get old real fast. At least at Lone Pine Koala Sanctuary, all they do is sit around and sleep. 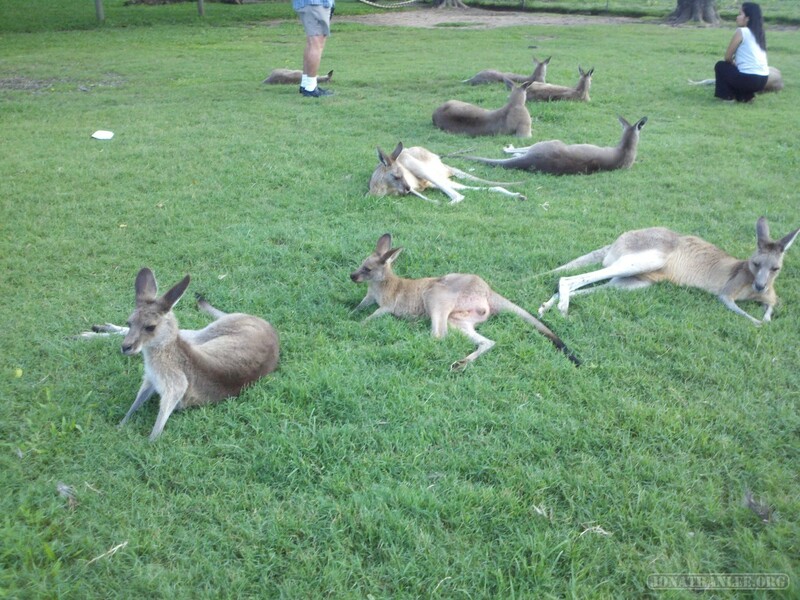 Even when you if you try to feed them some ‘roo food, all they do is sort of sit there. Fun fact, petting kangaroos kind of feels like petting a short-hair dog. 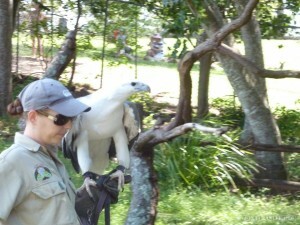 – “Birds of prey” exhibition – quite fun! 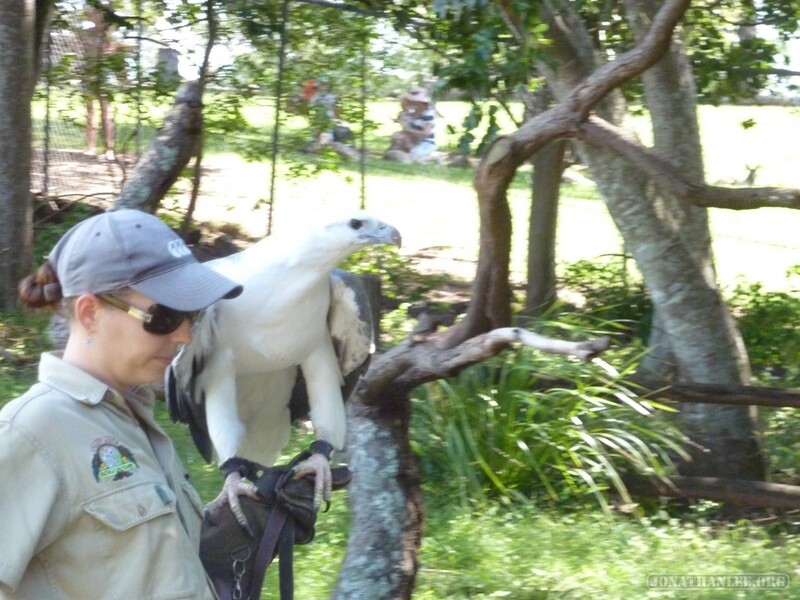 Like with trained falcons, these birds sit on a gloved hand or shoulder, before swooping off to catch a bit of meat tossed into the air. I was at Lone Pine Koala Sanctuary on a windy day, so it was fun to see an occasional gust of wind blow the bird off course. Fun fact: it’s really hard to get a close-up shot of a flying bird, no matter how large it is, if you are an inexperienced photographer.